TORONTO – A team of French and Canadian scientists have identified preserved embryos within the eggs of a tiny shrimp-like creature believed to have lived over 500 million years ago, raising questions about both the development of the creatures’ brooding abilities and the likelihood of such delicate materials surviving for thousands of millennia. Waptia fieldensis is a tiny, shrimp-like arthropod whose fossilized remains were first found 100 years ago in Cambrian layers of fossils in Canada. Now extinct, Waptia was a frail creature that carried the eggs of its young within its own body. “Clusters of egg-shaped objects are evident in five of the many specimens we observed, all located on the underside of the carapace and alongside the anterior third of the body,” Jean-Bernard Caron, a University of Toronto professor who co-authored the study, said in the release. 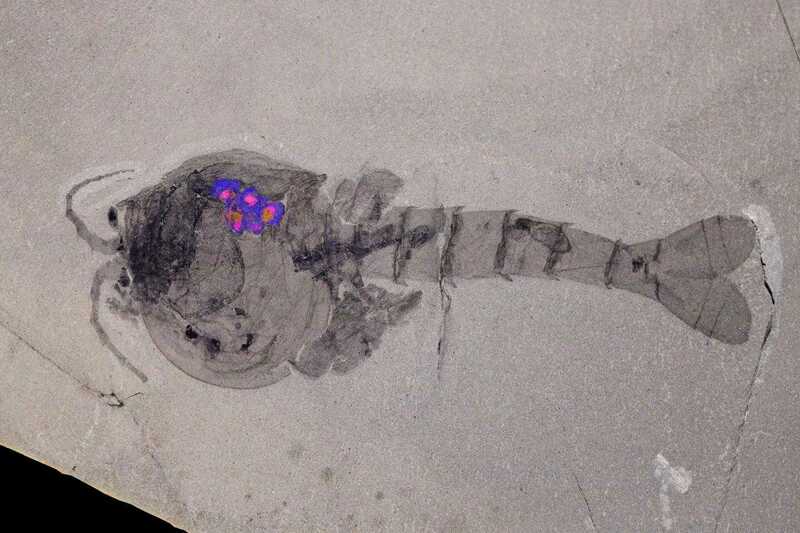 Though the Waptia fossils were first unearthed over 100 years ago, it wasn’t until scientists recently revisited the specimens when the eggs and embryos were noticed. The researchers attempted to tie their discovery into the evolutionary framework, proposing that their discovery is evidence of “rapid evolution of a variety of modern-type life-history traits”—namely, care for offspring by egg-bearing females. However, others interpret the discovery as yet another instance of evolutionists struggling to explain the sudden appearance of complex physiology and advanced behavior among allegedly “simple” organisms. Another debatable aspect of this recent discovery is the likelihood of eggs and embryos surviving hundreds of millions of years. As previously reported, the discoveries of a variety of perishable biomaterials—including dinosaur blood cells and proteins within ancient shells—create predicaments for evolutionists, who maintain that such materials are tens of millions years old.